Funko has just announced a new figure to join their line of Hikari Sofubi figures and it is Skeletor. Skeletor has now joined the Hikari Sofubi line along the Teenage Mutant Ninja Turtles and Batman. The Masters of the Universe Mystic Powers Skeletor Hikari Sofubi figure is handmade and crafted and limited to only 2000 pieces. 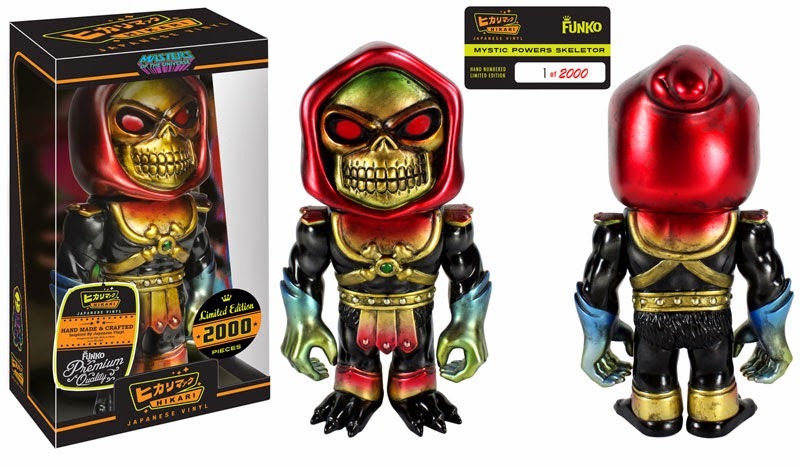 The Mystic Powers Skeletor Hikari Sofubi figure is now available for pre-order at Entertainment Earth and will be available this September!